This is a documentary about a teacher from Reykjavik in search of her roots and interested in the preservation of old tales and history. Our story opens in the remote Mýrar cemetery in the West Fjords. The narrator is standing by her forefathers´ grave, which is overgrown and neglected and she senses her dead ancestors call out and implore her to do something. 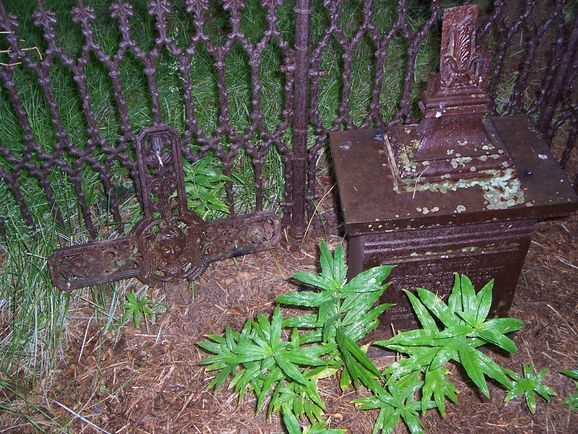 Beautiful irons cross lies on the grave of a young boy who died in the middle of the nineteenth century. Her curiosity aroused, the narrator discovers the story behind the iron cross memorial by talking to the archaeologist, Gunnar Bollason. She then goes on to discover similar iron crosses in cemeteries elsewhere in the southwest of the country. We visit the town of Þingeyri and watch as the broken iron cross from the family grave is repaired by the skilled craftsmanship of Kristján Gunnarsson at his engineering workshop, a workplace with an unbroken tradition going all the way back to 1913. The film concludes when the repaired cross is once again placed on the family grave at Mýrar cemetery.